Diet and Weight Loss Supplements like Herbalife: Are they good or bad? Don't be fooled by their claims. Just because they claim to "guarantee the very best science" and that their products are "science proven". This is pretty vague, I would say. Scientifically proven to what? The company says they have done various scientific studies that prove their products are safe and work, but, just read this in-depth investigation about those "studies" and how faulty and misleading they are: available here at VOX.com (towards the middle of the article). The FDA even had to ask the company to stop suggesting they approve their products (which, they don't): read about it here on this NY Post article and on the FDA's press release too. Don't all these half-truths and lies seem like they are trying to mislead you? To appear more beneficial than they actually are? Any company working so hard to hide, disguise, or "over-puff" their claims cannot be up to any good, can they? And if you think that there's nothing wrong with them, that just because they are not as good as they claim doesn't mean they are bad, beware. There have been many, many claims of these products' harmful ingredients. So much so that the government has a dedicated section to these harmful ingredients on their NIH* Website and how they may cause liver injury, ouch! : you can read it here at Livertox.nih.gov. They have also been accused of having too much lead in their products - read this Reuters article and have been linked to brain disease - read it in this WebMD article. And though we mainly cover Herbalife here, the same can be said for all diet and weight loss supplements out there. 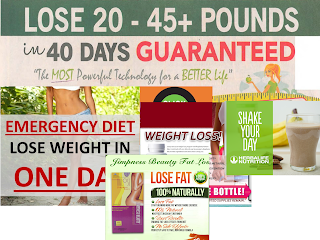 They container harmful ingredients and no proven results (you may lose weight, but you may come out with other health issues).Apparently, there is much that could be wrong with these weight loss supplements. Why would you take a chance? Why risk your health? FDA: The Food and Drug Administration is a federal agency responsible for making sure that most foods, drugs, and medical devices comply with certain safety and health rules. There are many things that the FDA checks and many things that they don't (like diet/weight loss supplements). FDA Basics. NIH:The National Institutes of Health is the main federal agency dedicated to medical/health research. They employ a lot of scientists and clinicians and support a lot of research for the discovery of new vaccines and medical drugs. It's institutes (in plural) because even though it's one single agency, they have several centers dedicated to different research in each. What the NIH does.